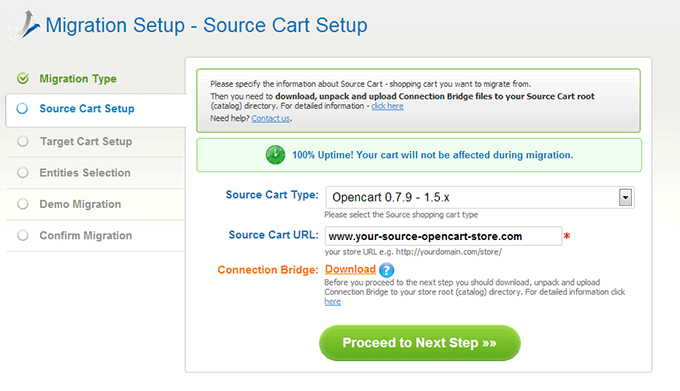 Both OpenCart and osCommerce are well recognized open source shopping carts. OpenCart offers wide customization opportunities, numerous extensions, multiple languages and currencies. However, the admin panel of this platform is not as intuitive as the one of osCommerce. This is one of the reasons that encourages merchants to move their OpenCart to osCommerce. Cart2Cart makes the process of data transferring fast, accurate and easy. 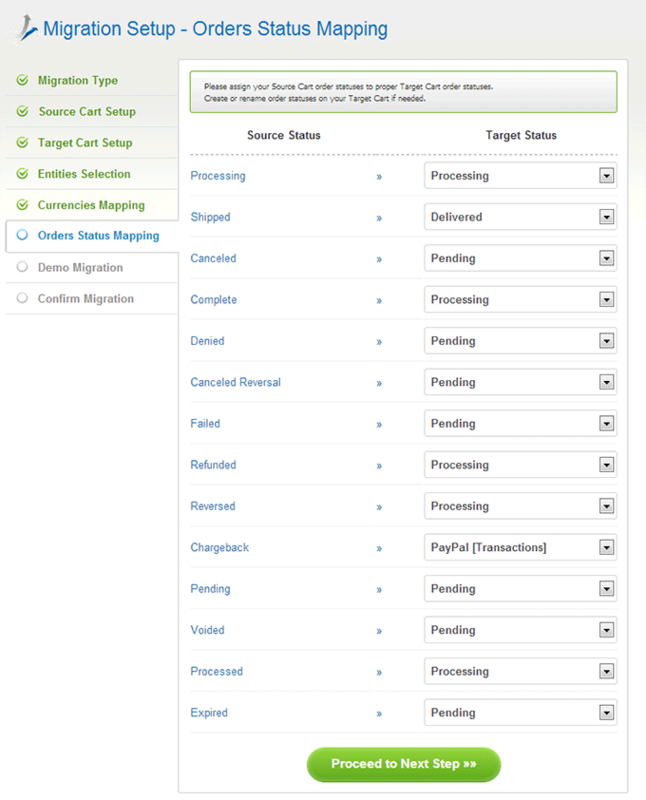 It is fully automated so, you don’t need to have high technical skills to perform successful migration. We recommend you to watch our video tutorial and look through a straightforward step by step instruction in order to understand how everything works. 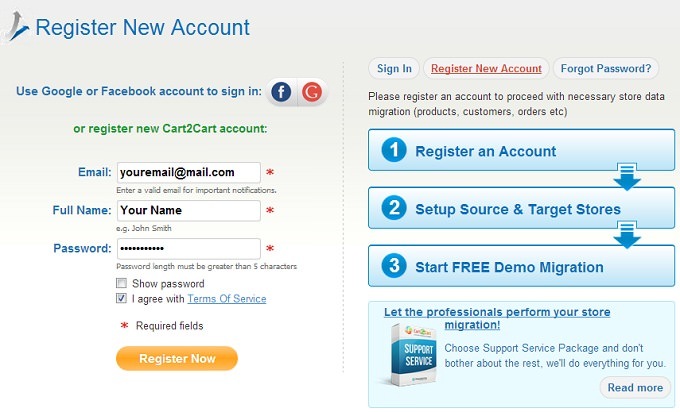 Cart2Cart provides a possibility to sign in with your current Facebook or Google account or register a new one. paste to the root directory using FTP client. For better convenience, you can watch our video tutorials on how to install Connection Bridges. 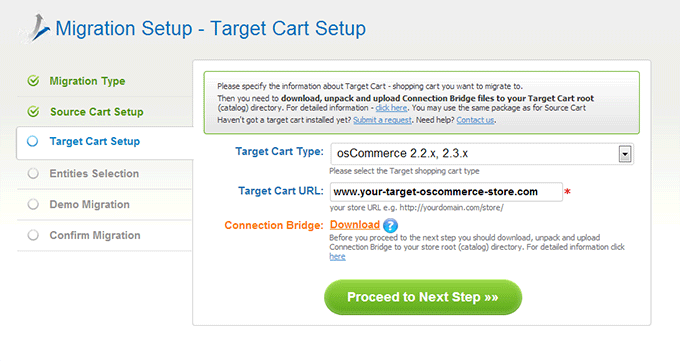 Repeat the same steps with your Target Cart. Choose osCommerce from a menu. On this step, you have to select entities that have to be migrated by putting a tick near items. 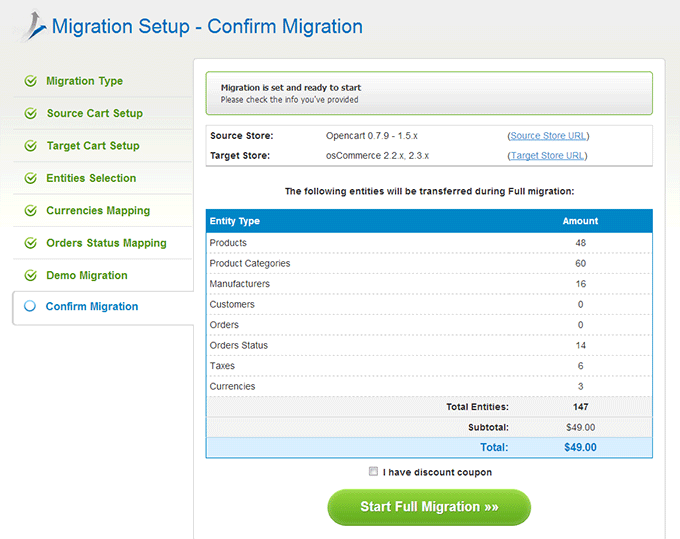 Moreover, you can select additional options, which will expand migration opportunities. 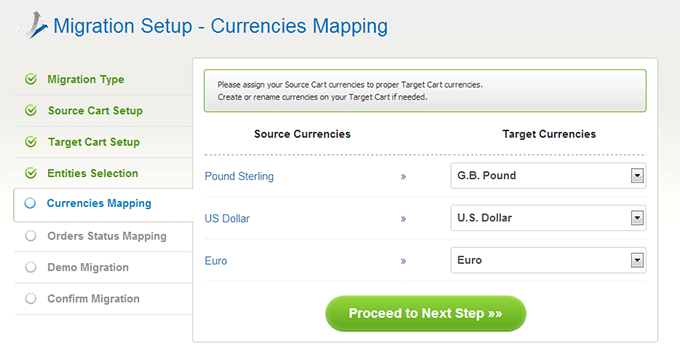 Cart2Cart provides an opportunity to map currencies on your source OpenCart store with those that be displayed on osCommerce. 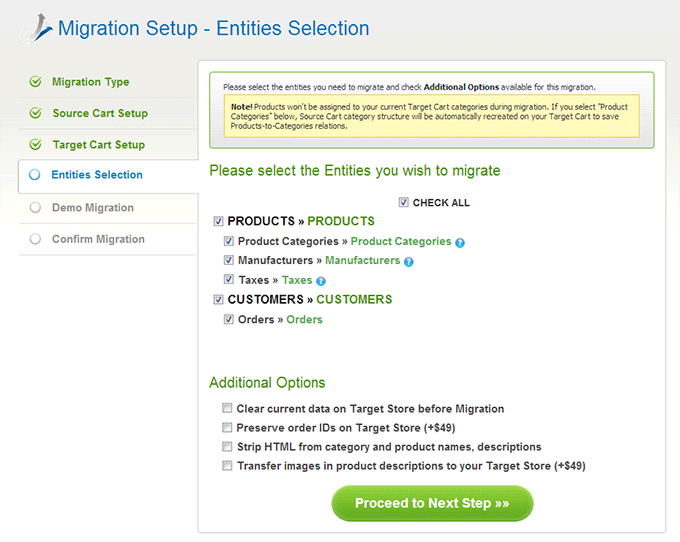 In a case, you’ve selected to migrate orders Cart2Cart provides a possibility to map their statuses. You can try how everything works without paying a single cent. 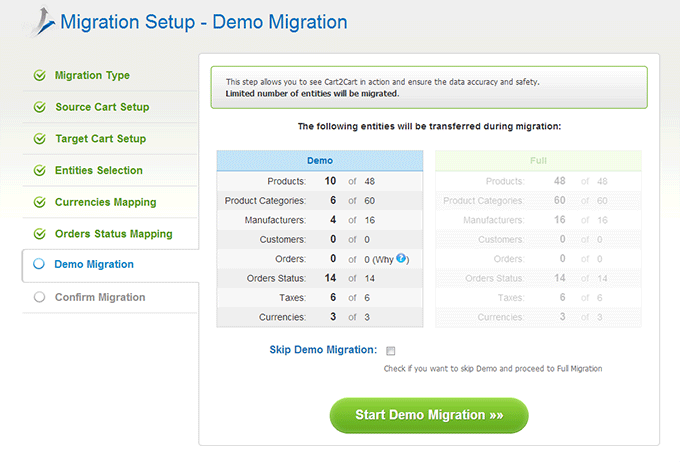 While Demo Migration you are able to move limited number of items in order to evaluate an outcome. So, don’t skip this step. At this point, you are able to check entities one more time. If you have a discount coupon code, put a tick in an appropriate place. Ensure you have enough money on your account and press Start Full Migration. After migration process is completed, you will receive an email. Now your products, customers and order are on osCommerce store. You can check migration results on your backend and storefront. If you have some questions don't hesitate to contact our Support Team.